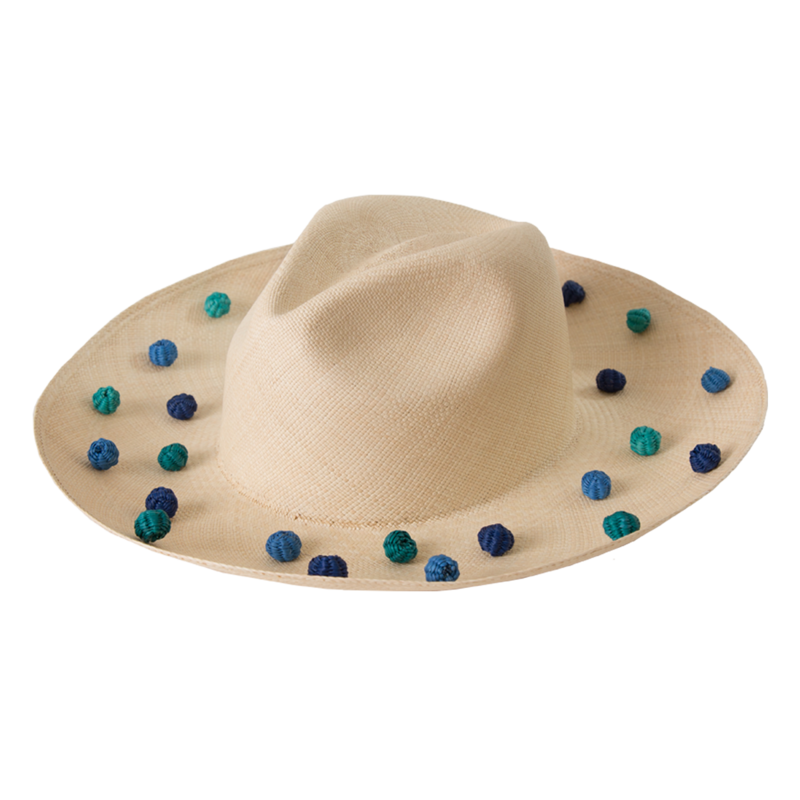 Natural straw, blue and turquoise pompoms over the wide brim. 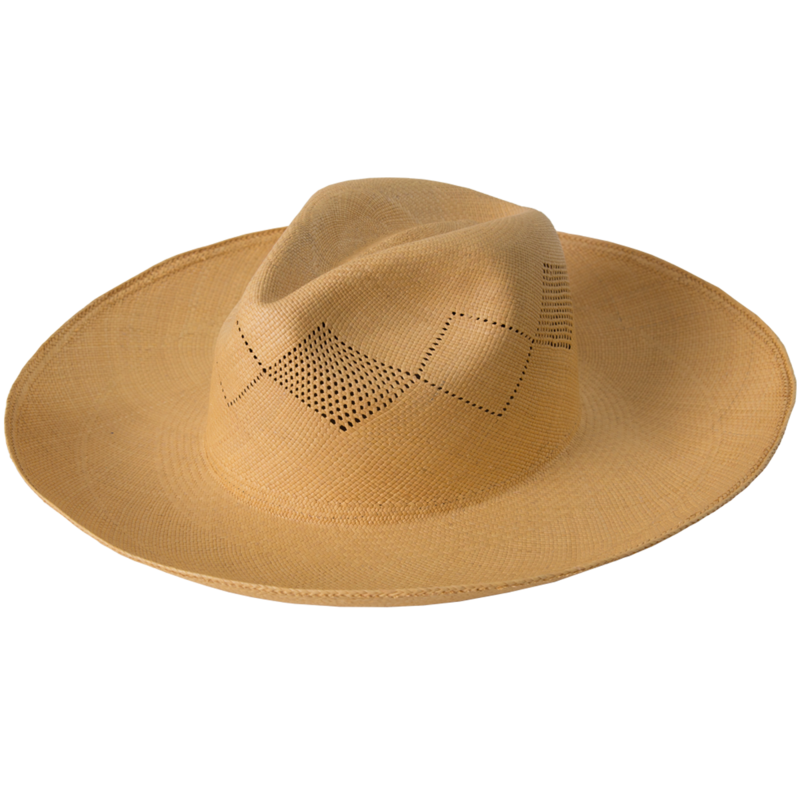 Handmade, 100% toquilla straw; each hat is unique and will vary slightly from piece to piece. 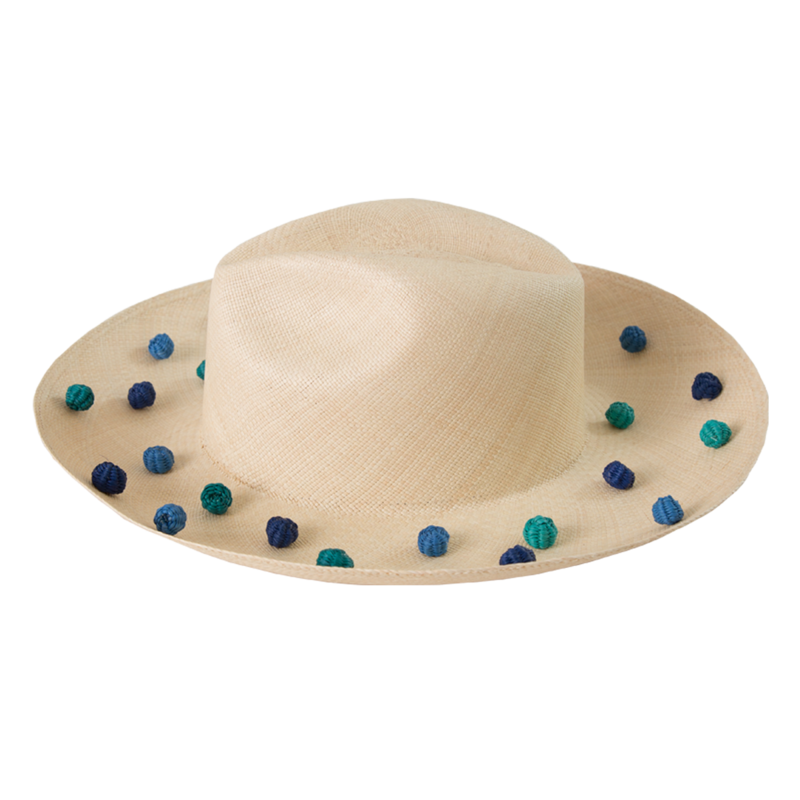 *All of our products are entirely handwoven, hence, color and dimensions will vary slightly. SIZE: 56 57 58 59 60 Do you know your size? Do you know your size? 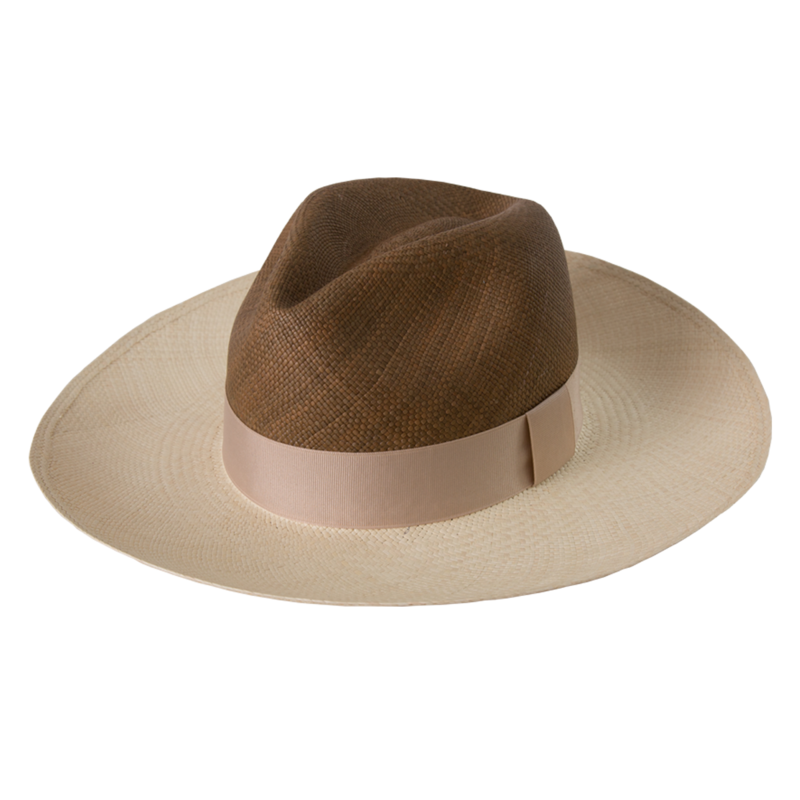 1.-Measure your head by placing a measuring tape where you would want to place your Allpa hat (approximately half an inch above the eyebrows). 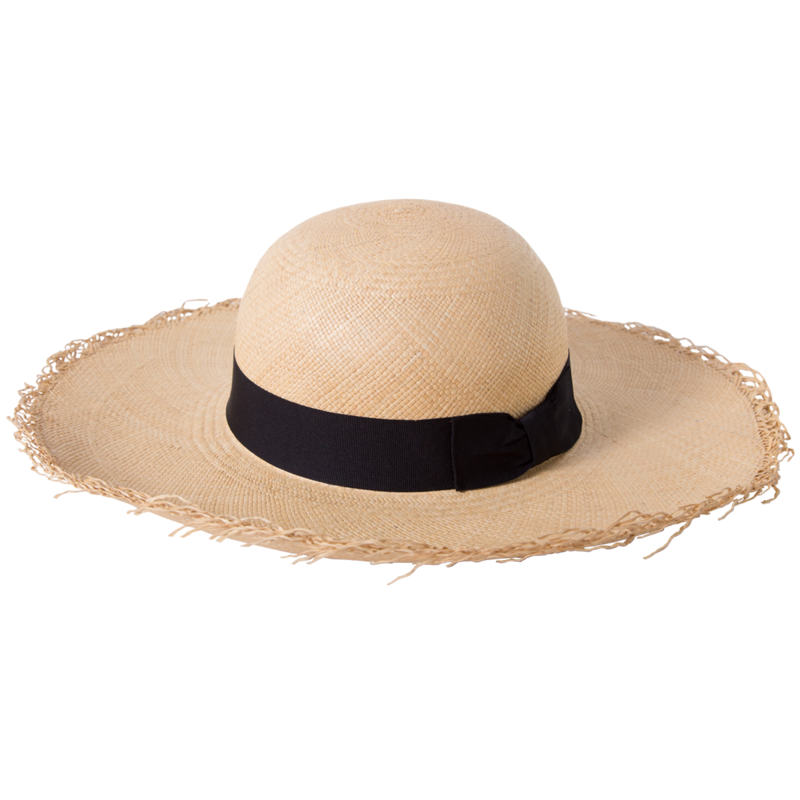 Place the tape in the widest part of the head and wrap it around and over the upper tip of the ears. 2.-Follow the circumference of your head. Do not wrap it too tight. 3.-Repeat the process at least twice to ensure that the result is as accurate as possible. Always remember that the important thing is that it feels comfortable. 4.-Compare the measurement you obtained with the size chart. If the number is not within the scale, round it off to the next higher number.